Situated along the Atlantic coastline, Sunrise Beach Club is a great destination to relax and enjoy the Florida sunshine and sandy beaches. The resort features a heated swimming pool and hot tub, along with private beach access and rooms with a view. With only a short drive to Orlando or Cape Canaveral, this Daytona Beach resort is in a prime spot for shopping, restaurants, and visiting area attractions. The Daytona Beach timeshare resales at the Sunrise Beach Club offer efficiency, one and two-bedroom units. Large windows offer views of the beautiful sunrise over the ocean and some units provide a balcony to enjoy the sunshine from the privacy of your room. All units are equipped with a full kitchen and utensils, air conditioning, and free Wi-Fi. 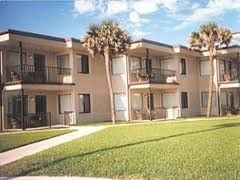 Condos offer comfortable sleeping accommodations for two to six people and washer and dryer are also provided for your convenience in some units. On-site amenities include a swimming pool, hot tub, and a large fishing pier. Guests enjoy relaxing on the beach or sitting on the sun deck enjoying the views and maybe watching dolphins in the ocean. Barbecue grills are also available for a fun family meal out by the water. The resort also offers many nearby amenities to entertain all ages. Jet skiing, deep-sea fishing, tennis, and basketball are all close by. There are twelve golf courses in the area to provide variety for all skill levels. Daytona International Speedway is also just a short drive from Sunrise Beach. About a two-hour drive from the resort, you can enjoy Walt Disney World and Universal Studios, plus historic St Augustine and the Kennedy Space Center are about an hour away. Vacationing in Florida with family and friends offers many opportunities for fun and excitement. Discounted Daytona Beach timeshare resales make planning a getaway for the family even easier. Shopping, restaurants, casinos and a variety of outdoor sports make this area fun for everyone. Whether you want to spend all your time on the beach enjoying water activities or visiting popular Florida attractions, Sunrise Beach Club is an excellent destination for your next vacation. Contact Sunrise Beach Club Specialist Today!